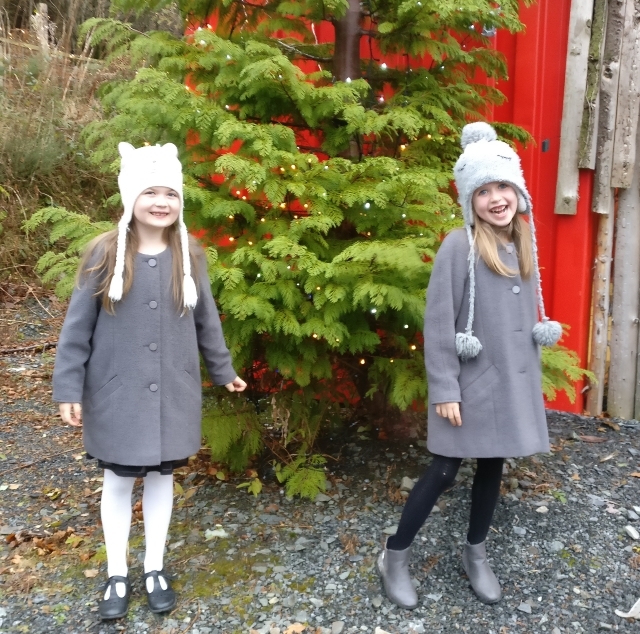 We got an early start on the festive celebrations this year when were invited to Luggwoods for their Santa's Enchanted Forest press day. We had an absolutely magical experience from the moment we arrived. The girls had their faces painted before we hopped on the 'train' through the woods. We helped the elves find stolen presents, cheered up the grumpy Grinch and woke up some sleepy fairies along the way. When we reached the barn we were greeted by Mrs. Claus herself who treated us to a great chat and a lollipop. We then visited Santa's workshop where the elves entertained us with songs and dances and after hot drinks and more treats we eventually got to meet the main man himself. The kids were very impressed that he knew their names immediately on seeing them! He was lovely and charming and 'real'. 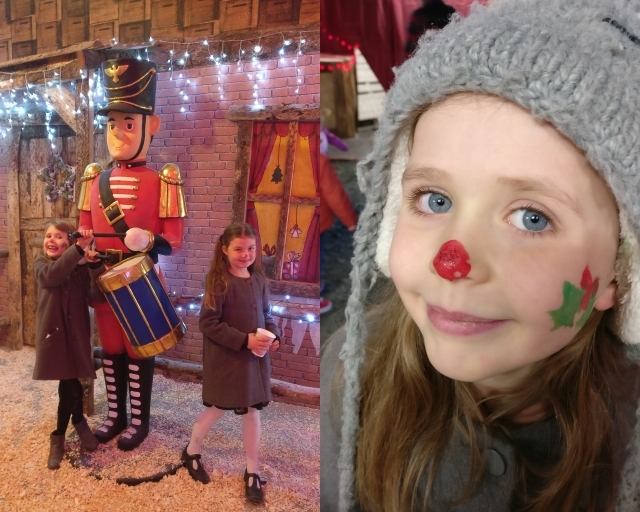 The girls got lovely, substantial gifts and afterwards there was more singing and dancing at the elf disco and a chance to pick up our photos before climbing back onto the train, swooning over the the views of the distant the twinkling city and back into real life. It definitely kicked off the season with the right note! This year, I bought a no-chocolate advent calendar from Lidl. 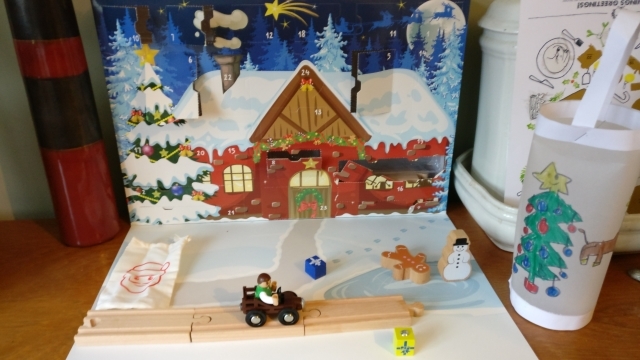 It cost less than €10 and everyday there is a new piece to add to a little wooden train-set scene. I thought the girls might be a little bit too old for it, to be honest, but the wooden train set they got when they were 2-years-old still gets fairly regular play - so I took a chance on it. I have to say, it's been the nicest thing! They are excited every single morning to see what the next piece of the set is and the best things about it is that it will fit with their old set when it's done so we can extend the play. 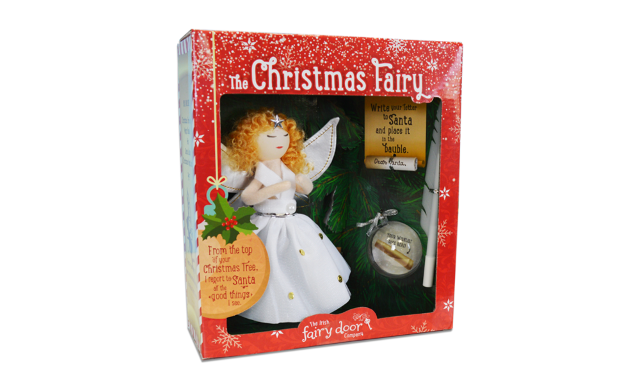 Another lovely addition to our festive cheer has been our beautiful Christmas Fairy from the Irish Fairy Door Company. We have never had an 'elf-on-the-shelf' visit us, because I'm not crazy about how he reports back to Santa on the the children's behaviour. I also don't think I could fully commit to elf life - if you know what I mean. The Christmas fairy is different, in that she doesn't move (!) and only tells Santa about the good things she sees children doing. My kids tend to have an adverse reaction to the pressure to 'be good for Santa' at this time of year and somehow their behaviour deteriorates! I really love this, more gentle approach. She is also absolutely beautiful and a perfect alternative Christmas Tree topper. You can buy her HERE for €19.95. The Late Late Toyshow (and seeing my book featured!) definitely got me feeling festive. See here for more. I am a book elf!! Follow the hashtag on Twitter to see lots of fabulous book recommendations from authors, illustrators and children's book experts. If you'd like a personalised recommendation for your child we're all happy to give it! I'm recommending Irish language books specifically but happy to help in anyway I can. 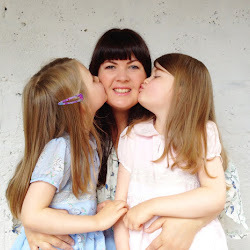 Speaking of recommendations - if you need gift ideas for yourself or any ladies in your life - check out Sinéad at Bumbles of Rice's What These REAL Women Want for Christmas post. I contributed my own wish list and have my fingers crossed! I've been to a couple of craft fairs this year. I used to attend them regularly - especially when I ran my greeting card company - but I hadn't been to one in a long time. I went to the 'Gifted' fair in the RDS where I spent more than I intended on some beautiful things. I also ended up doing a book signing at another! I originally went to help my sister (who now runs Cártaí Rúbaí - my old company), who had graciously agreed to sell Bí ag Spraoi Liom from her stall but I ended up being given my own little corner stall! I had a great day meeting eager little readers and signing books for some lovely families. My absolute favourite thing this Christmas season has been the arrival of my new nephew! He surprised us all by making his appearance 4 weeks early and he is the tiniest, most perfectly beautiful little thing you've ever seen. His due date was Dec 26 - so we're all glad his mammy doesn't have to worry about going into labour during her Christmas dinner or missing sharing Santa with her other babies. Welcome to the world little one! 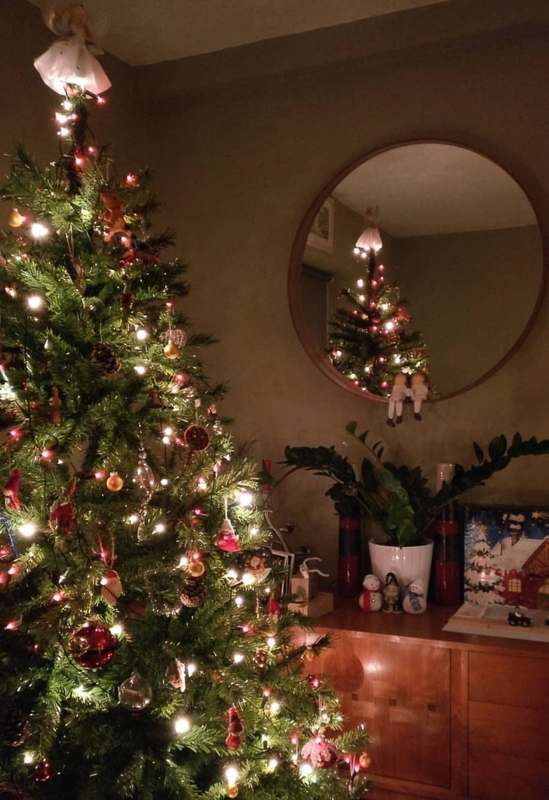 *During the writing of this post, my other half took it upon himself to rectify our lack of Christmas tree situation! Hooray! Who needs snow anyway. Disclosure: We were invited to attend Luggwoods as guests and under no obligation to review. 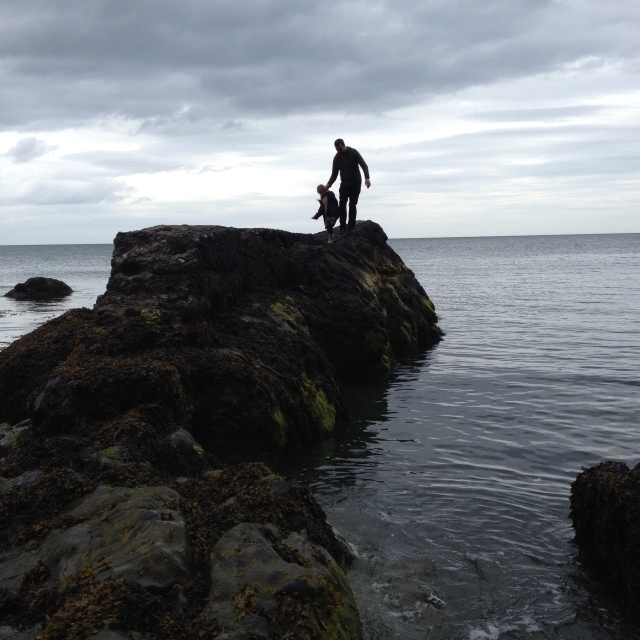 I am writing about it because we genuinely had a wonderful afternoon. I was given a Christmas Fairy for the purposes of review. All opinions are my own and I was not paid to give them!